. إن الخدمات التي يقدمها شقق والدورف تيترا تضمن للنزلاء إقامة مريحة. يقدم الفندق فرصة للاستمتاع بشريحة واسعة من الخدمات بما فيها: واي فاي مجاني في جميع الغرف, أمن على مدار 24 ساعة, متجر, تسجيل وصول/خروج سريع, تخزين الأمتعة . ادخل إلى واحدة من الغرف 31 وتخلص من عناء نهار طويل بمساعدة مجموعة كبيرة من الخدمات كمثل تلفزيون بشاشة مسطحة, كرسي عالي للأطفال, مرآة, صوفا, مناشف الموجودة في بعض الغرف. يمكنك طلب اللائحة الكاملة للخدمات في الفندق ومن بينها مركز للياقة البدنية. إن كنت تتطلع إلى إقامة مريحة وهادئة في المدينة، فستجد في شقق والدورف تيترا بيتك الثاني. Don’t ever choose to stay here. You need to pay for parking (which is not located in the same building) for a day that will cost you NZD26.00. Whatever you cook in the apartment will make you smell exactly the same for the whole day. Totally not worth it. We were happy with the room, it had everything we needed, the lady at reception was friendly great value for money! Hotels in the city tend to be expensive, I would definitely stay here again, though I would avoid the steep hill next time. 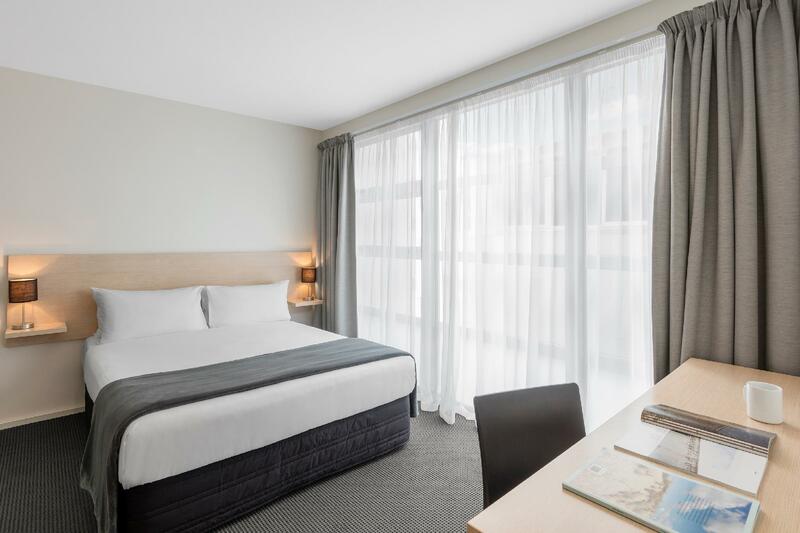 This was a perfect budget hotel for a business visit to Auckland where all I used the room for was to sleep and clean up. Room/suite was spacious and had all amenities. Bed was comfy. Slightly disconcerting stain on the couch, but there is really no point in criticising a property such as this as you get what you pay for: value. Highly do not recommend to book this hotel during year end or peak. They have some really bad rooms which makes you feel like you live in a dungeon or back alley. And they will not be able to change your room even if you made an earlier request. Stayed here two times during my trip in NZ and was disappointed. Rooms are under ground with only a small window facing below the back alley. Very near rubbish and loading area. You'll never want to stay in those rooms. Clean room with full facilities and service mind staffs since i have checked in very late at night. A night-shift staff did email me how to access the room with helpful information. Did not plan to spend long in the room. It was small but clean and bug free.I would recommend asking for a room with a view however I was travelling on a budget so can't complain my room was basic without a view. There was a bit of noise on Friday night, not the other residents but yahoos in the street, being a reflection of the location in Auckland, well within the Auckland University district. 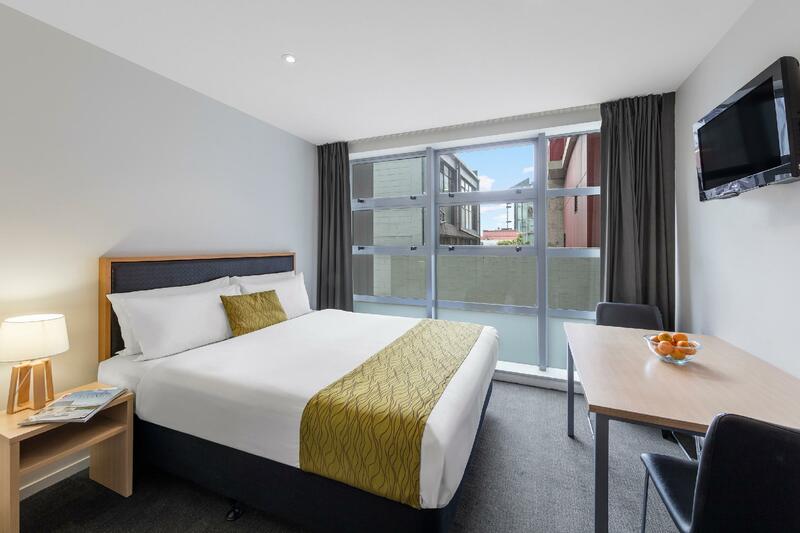 Good place to stay near Queen Street Auckland CBD... but please book your parking ahead of your stay.. or you will have to park by the sideways of at the nearest wilson parking which is extreamly expensive!! Room is big, there is kitchenette to do some cooking, the view is excellent!! The apartment is centrally located. Easy access to shopping street, walking distance. Easy access to public transport. Near the university. Excellent view of the Auckland Sky Tower especially at night. The hotel stay was pleasant as the beds were clean and comfortable. 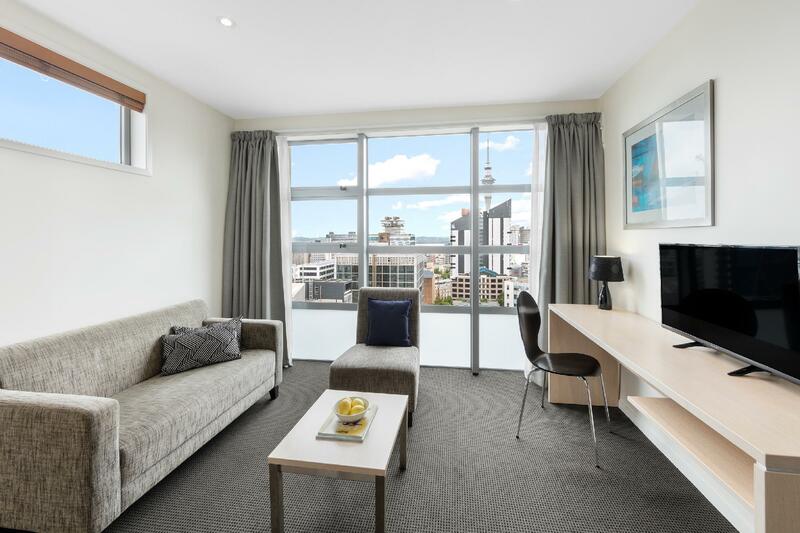 Howevr the 2 bedroom apartment onl comes with 1 bathroom. However it ws worth the price paid and we will definately consider staying there again if we visit next time. It's very physically clean. The location is perfect. The staff are friendly. The only downside is that the the scent of heavy curry sticks to the wall, curtains, and linger in the air throughout our stay. some who stayed there before us cook curry without turning on the airvent/hood and open the window. the apartment should consider banned cooking curry in room because, this smell is a stubborn one to go no matter what air spray we use. other than that it's perfect. The receptionists were always very helpful. Walking distance to everything. 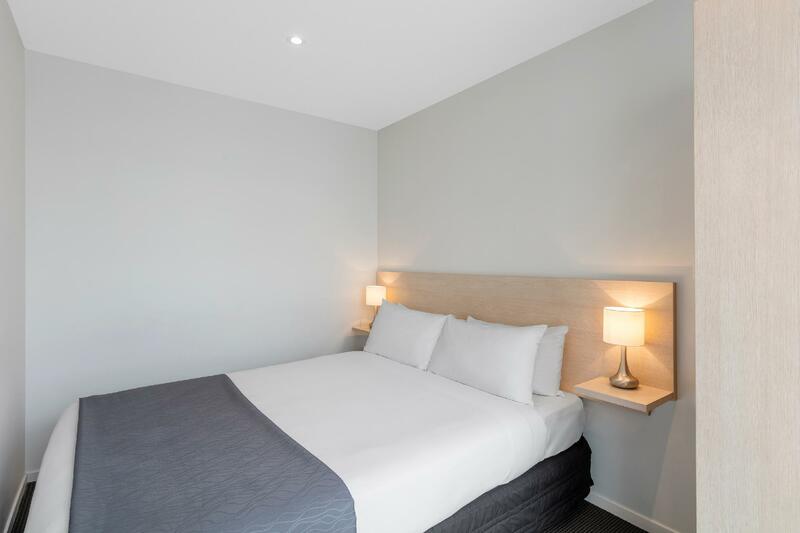 Clean and spacious room, comfortable bed, easy to open windows for fresh air, and heater provided to keep room warm at night. Would stay here again. Gym was rather small but otherwise the kitchenette in the room had everything I needed. We stayed a basement room but had window. Convenient Location, good enough facilities. My husband enjoyed excise at little gym which is available 24hours. Good priced accommodation a short, but steep uphill walk from Queen Street. Offsite parking was a bit expensive, but not as expensive as other motels. Is a great city center hotel! The hotel is very clean and the shower is nice with hot water and strong water pressure! 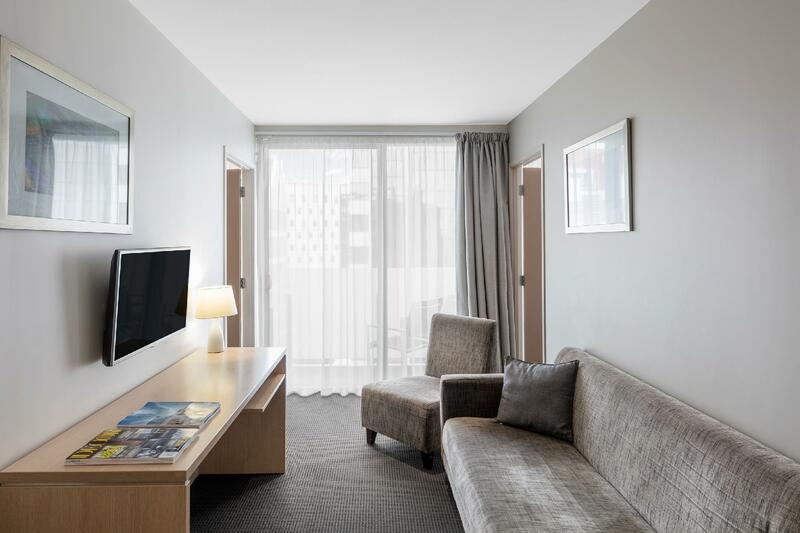 Definitely will choose this hotel again for my next trip to Auckland again. Tidy, clean and well located. Perfect for a city visit. 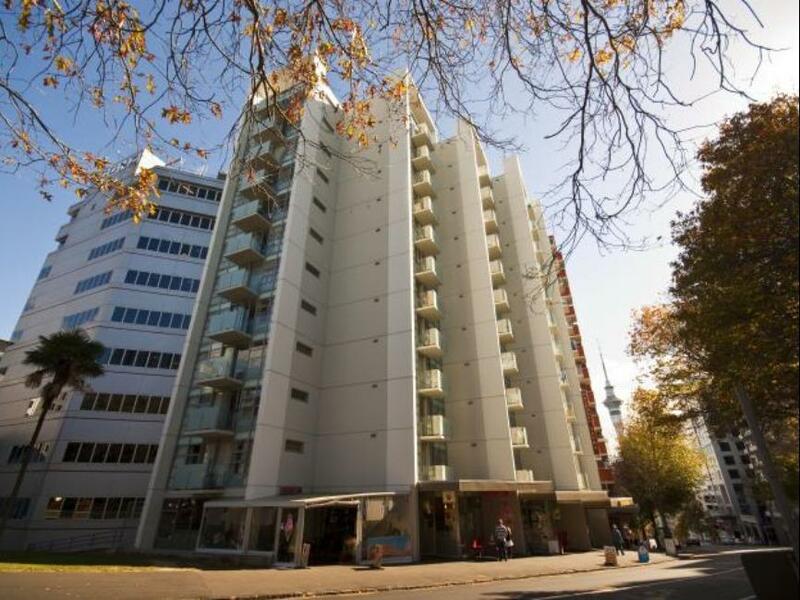 Clean Suite & Comfort, Location is nearby queen street. Room was not cleaned daily. We stayed for 6 nights and only got 2 x top up of towels and rubbish removed once.